My lovely friend Erin (or, as Dr. T calls her, my hot supermodel friend Erin) recently interviewed Colin and Robert for her article on tobogganing - check it out!! In the photo, by the way, Erin is wearing a hat that I made. The hat did not take as long to make as the children. What do you think of when someone mentions yoga? Calm, serene, meditative stretchy bendiness? That's what I think of, certainly. Now, I am aware that there are other forms of yoga involving sweating and speed, but having never tried these forms I feel completely qualified to dismiss these as horribly misguided distortions of the art. I bring up yoga because it seems to me unlikely that one can sustain a yoga-related injury. What could happen? I suppose you could get stuck in a particularly interesting position, or maybe develop an incense headache, but really, it's slow and calm and generally non-threatening. Yet somehow, Colin managed to sustain a series of gouges on his face, and inflict some pretty significant damage on his glasses, through yoga. Last weekend, my friend Erin came over to go sledding with us, after which we went back to my place. I went off to the kitchen to make some well-deserved hot chocolate, and left Erin to be entertained by the boys. So Colin got up on a chair in the hallway, to show Erin how well he can do the lotus position - that's the one where you sit and cross your legs over each other, or, as my pre-PC elementary school phys. ed. teacher would say, "Indian style." To further impress Erin, Colin wove his arms through his legs - and pitched face-first off the chair and onto the wooden floor. At which point Robert yelled at Erin "Why didn't you catch him?!" Erin, who does not any insane children of her own, took this quite seriously, and was very apologetic to Robert, Colin and me about failing to prevent this accident, which clearly was not her fault at all. I was able to reassure her a few days later, when I told her about taking the boys to the hairdresser the next day - where Robert yelled at his hairdresser from start to finish: "why are you washing my hair?! Why are you throwing ice on my head?! [cold water] Why are you pouring lava on my head?! [she turned the warm water up] What is this towel for?!" And that was just while getting his hair washed. So, in the end, Colin's fine - his face has already healed, and we convinced a very nice lady at the optometrist's shop to bend his frames back into shape - and Robert is in training to be George Costanza's mother. On a Tuesday morning in mid-December, Dr. T rushed the kids out the door - we were, as usual, running late - and into the car. Except the car was not there. We don't have a driveway or a garage, so our car gets parked on the street in front of our house, except on the two mornings a week that parking isn't allowed, when we park around the corner. This was not a restricted morning. Nor was there any snow clearing planned. In fact, our neighbours' cars were parked, as usual, in the spaces behind and in front of our car - or the now-open space where our car had been. None of the above. This was grand theft our car. Our nice, new, wonderful car. Me: We drove the Astra. Me: So we think we're going to get one. Thanks for the tip! Dad: Don't buy anything until you've tried the new Impreza. Me: We drove the Impreza. We did not try a Honda, and we stopped calling my dad. Instead, we signed on the dotted line and drove home in our new AWD Impreza hatchback (although now car dealers call them "5-doors" for some reason). I managed to resist the urge to sucker-punch my dad when he looked at the car, grunted, and told us it looked like a Mazda. When the snow started falling this winter, we discovered just how great our car was - no shovelling required! We felt safe driving in the snow and slush. But then, that fateful morning, no car. Car gone. Nine days before Christmas. Fast-forward a month, and everything's settled - the car is probably on the other side of the planet now, and our insurance people took care of everything, and given that this happened over the holidays, everything went pretty quickly, and on Thursday, I drove home in our new Impreza hatchback. We decided to take advantage of our do-over, and opted for the sports package, which meant our lovely blue was no longer an option, but we've got a few extras we didn't have the first time around, including fog lights, a sunroof, wiper de-icers, 6-disk CD players with extra speakers and satellite radio, and audio controls on the leather-wrapped steering wheel. Best of all, we now have heated seats. Since the temperature over the last few days has hovered around -25 (so far, 19 major water mains have burst on the island of Montreal. it's cold), heated seats are a good thing. Nothing beats warm buns on a cold day. Yesterday, I took our new bun-warmer to a local garage and had a GPS-tracking anti-theft system installed. Keep your fingers crossed. So there was, in fact, an unbelievably simple way to do what I was trying to do - Feedburner has an option called BuzzBoost in the Publicize tab that does pretty much exactly what I set out to do, namely, have an updated list of recent entries from The Communal Kitchen. I'm trying to be a good girl and post more regularly to The Communal Kitchen, and I want to incorporate the RSS feed from that blog into this blog's sidebar. Translation: I want new entry titles from my recipe site to appear as links in a permanent section in the sidebar of the page you're currently reading. I've found a few variations on this theme, but no code that actually does what I want it to, and I can't figure out how to tweak the codes I have found to make them do my bidding. Maybe it's my keywords, but most of the stuff I've turned up in researching this is either how to set up a feed for your site (which I've done) or how to read other feeds in various readers. I'm convinced that what I am trying to do is easy, and that I'm probably just overlooking a really simple solution - help! If you have a nice, simple solution (or even a messy complicated one, really), please let me know! So I was brushing my teeth this morning, and reading the toothpaste tube, since there's not a whole lot of intellectual stimulation to be gleaned from the brushing itself. The tube in question is a stand-up model, so I assume the marketers were referring to the packaging when the stuck a big friendly circle on the cap that trumpets "CLEAN! EASY TO USE!" This is a big relief, because until now my relationship with toothpaste has been, sadly, dirty and complicated. Ah, new year, what do you have in store for me? 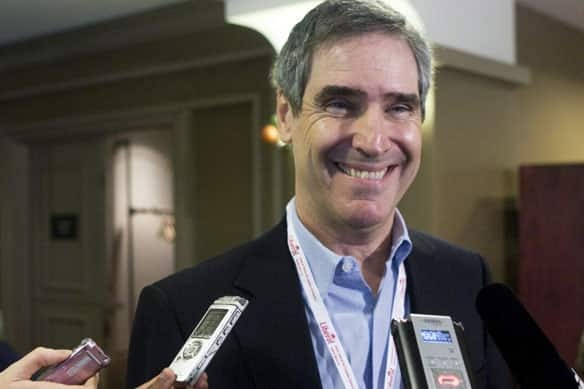 Oh, and here's my take on the Ignatieff leadership: Bob Rae and Gerard Kennedy and the rest of the contenders didn't so much step aside to allow the coronation of Iggy as they did suspend their campaigning for now. 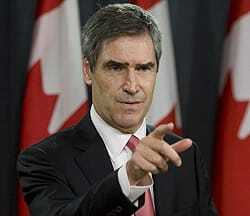 By letting Ignatieff take the interim leadership, they're also letting him be the guy who has to deal with Harper, the economy, the post-prorogue Parliament, and the snow. Then in May, when everything's warm and sunny, they'll be back, armed with new ammunition based on Iggy's mishandling of all of the above. Of course, this strategy assumes he will, in fact, mishandle things. This is not an altogether preposterous assumption - after all, this is the guy who thinks we can finally deal with the whole constitution crisis thingie once and for all, and move on. Frankly, only a guy who hasn't lived in the country and hasn't been paying attention can make a broad statement like that with a straight face. 7. His background - we are fine with Russian aristocracy in an abstract way, but do we really want to live through years of headlines about Count Canuck or Czar Iggy? 8. Eyebrows. They didn't help Dukakis, either.